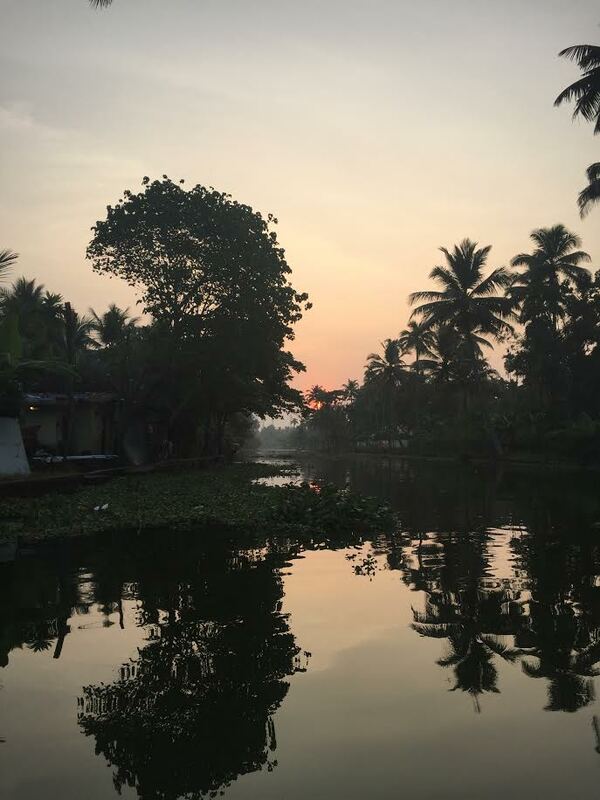 What made the Backwaters well worth the visit, nonetheless, and makes it one of my top experiences in India, is that it is a radical contrast to everything else one experiences whilst there. The Backwaters are placid and the days begin slowly. They are a quiet place and a solace from the haste that characterises the rest of India and therefore offer a somewhat surreal experience. We decided on a guided canoe tour and apart from the gentle stroke of a single paddle, the silence as you set out is almost startling. The canoe, incidentally, allowed us to experience Backwater life up close and very personal. From men bathing in the canals and women handwashing clothes to children walking to school along the banks and old men fishing with their simple hand lines. In addition, we saw some good birdlife including three different species of Kingfishers. 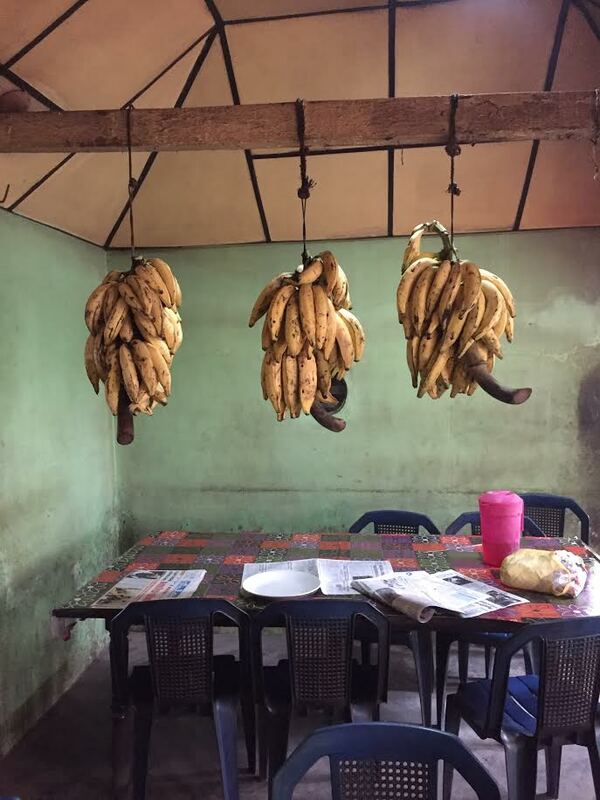 Our tour also included an authentic breakfast stop along the way which turned out to be a real highlight. We were taken to a local spot and had no choice in what we were served (this may sound off putting but everything we ate in India was delicious). It consisted of an endless supply of deliciously fresh paratha (somewhat flaky, Indian flat bread) and spicy chickpea gravy. I would have never ordered this for breakfast and yet I have craved it every day since! 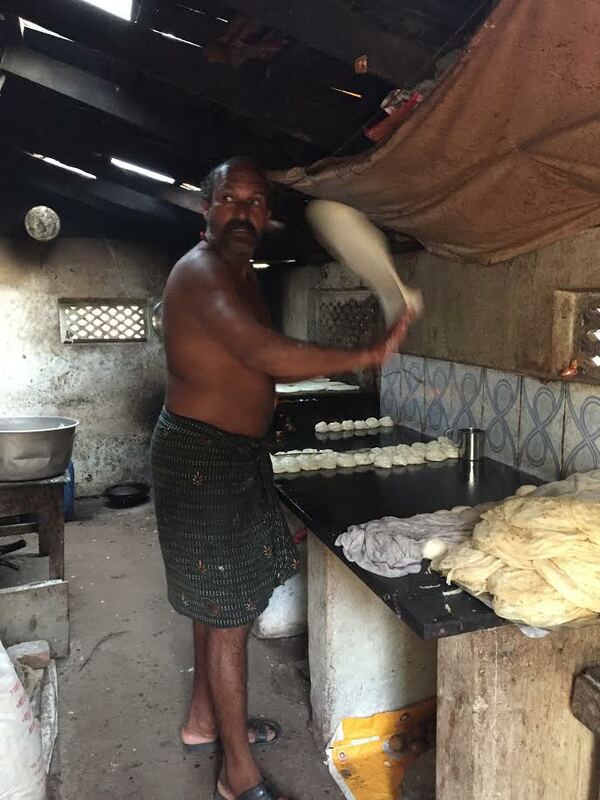 We watched a master paratha chef make the breads before our eyes and drank chai while we waited. I highly recommend doing a guided sunrise canoe tour for two chief reasons: firstly, the Backwaters are at their best in the morning before the mass of tour boats get going. Secondly, a canoe is quiet (no motor) and allows for navigation of the smaller byways that motorboats are simply too large to explore. 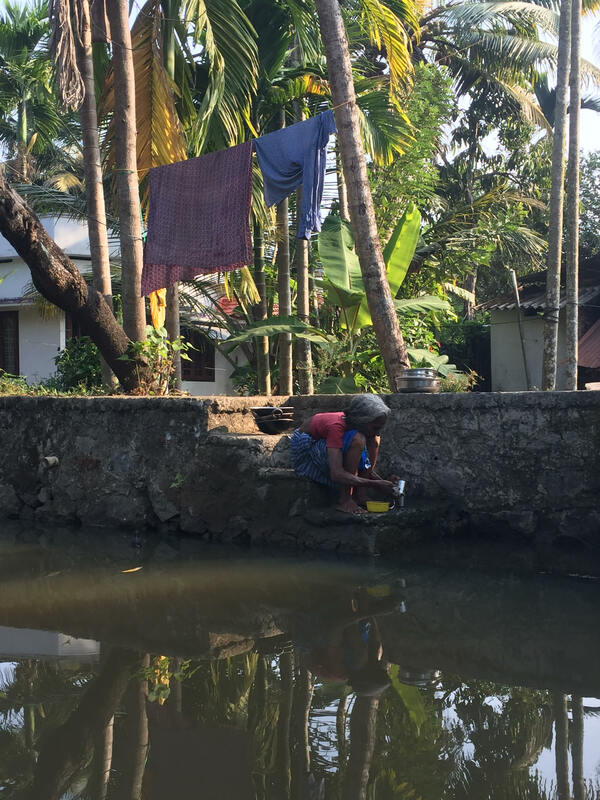 The great thing about the tour company we used is that all their guides live on the Backwaters and so they know the area extremely well and point out things along the way. Our guide seemed to understand the perfect balance of appreciating a quiet moment as a kingfisher prepared for a dive and relaying interesting information along the way. For a well-managed Backwaters tour and unique experience of India I can commend Oscar Cruise, a locally owned and operated company based in Allepy. Find them easily on google.